Water is a useful utility in commercial and residential properties. However, it causes unprecedented damages should it spill to unwanted areas. 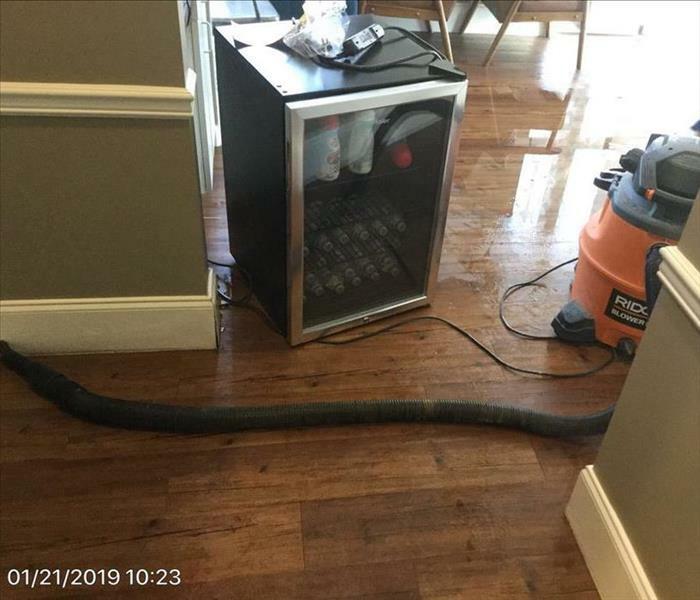 You can depend on the services we offer at SERVPRO of Williamson County to restore your premises to preloss state after water damage. We understand the pressures and difficulties that business and private residences encounter and therefore strive to provide sustainable solutions. Our technicians undergo training in various fields to enable them to tackle different outcomes after water damage incidents. We have IICRC certified WRT - Water Restoration Technicians, AMRT - Applied Microbial Remediation Technicians, ASD - Applied Structural Drying Technicians and CDS - Commercial Drying Specialists. We have a variety of advanced restoration equipment for cleaning up contents and surfaces in the wake of water damage. We also have state-of-the-art equipment for water extraction, moisture tracking, and removal. Our crewmembers have extensive working experience and the company owner, Tim Wesley, has had over 10 years in the restoration business. SERVPRO of Williamson County is locally owned and operated, so we are part of this community too. When you have a flooding or water emergency, we’re already nearby and ready to help. We take pride in being a part of the Brentwood community and want to do our part in making it the best it can be.